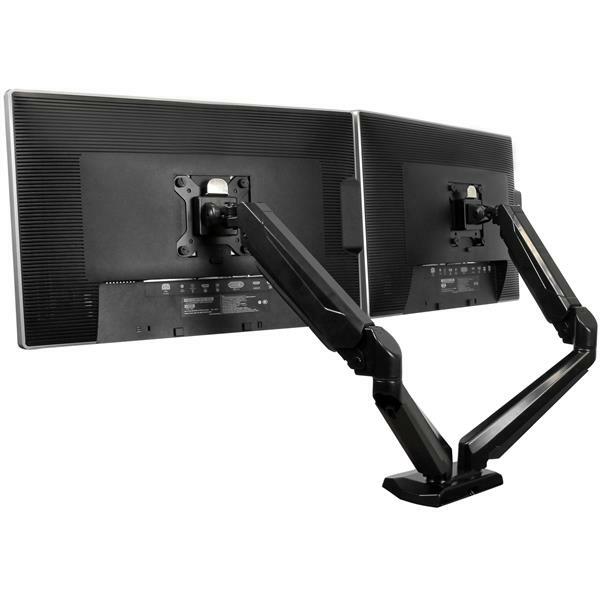 Enhance productivity and free up valuable space with the ARMSLIMDUO Dual-Monitor Arm. 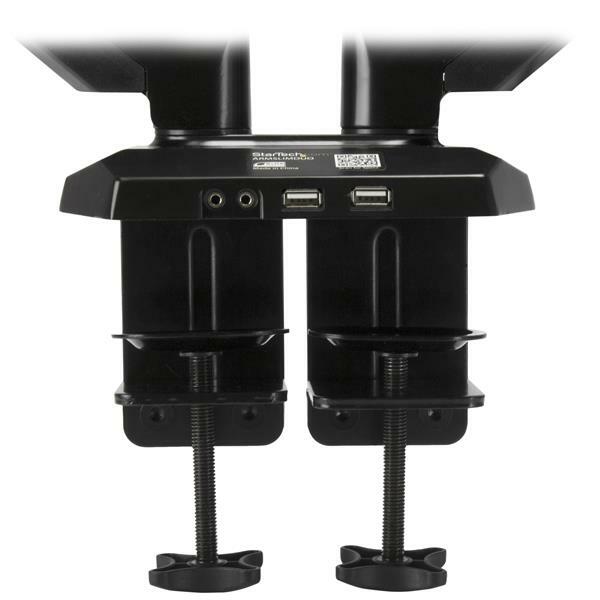 Two independent arms make it easy to adjust your dual-monitor setup, plus two USB pass-through ports and headset plugs provide easy accessibility to ports. 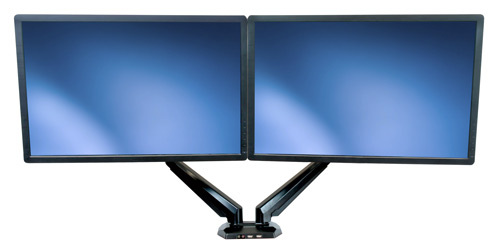 When you mount your displays on a dual-monitor arm above your desk or table surface, you can adjust your display height, position and viewing angles easily to create a more comfortable and ergonomic work environment. 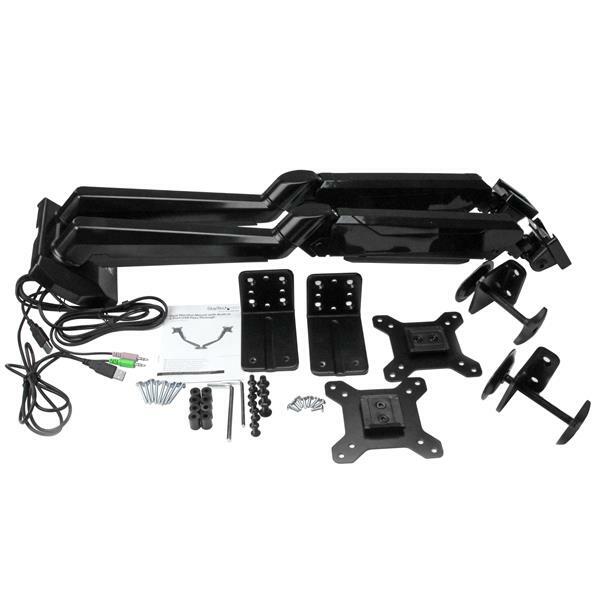 You also get the added benefit of reclaiming valuable workspace by clearing monitor stands off your desk, plus the cable management system keeps cables neatly tucked away. 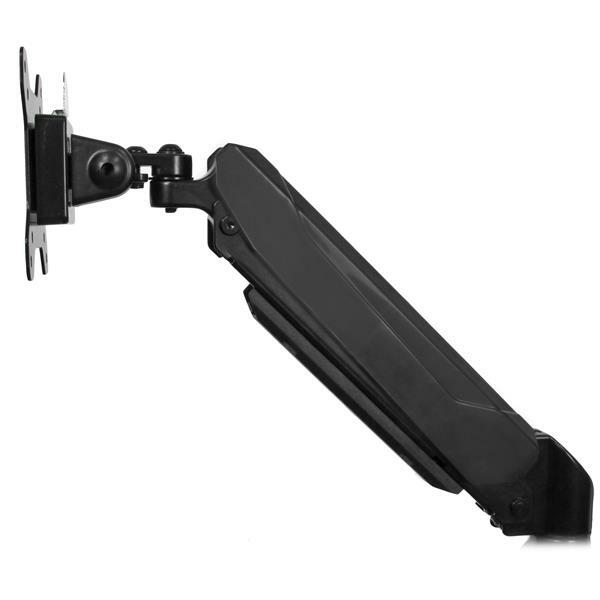 The dual-arm monitor mount holds two 12” to 30” monitors, side-by-side, with ease. 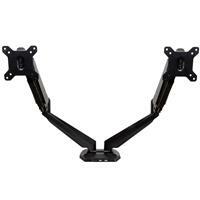 Each arm supports up to 8.0 kg (17.6 lb.) of weight. The ARMSLIMDUO gives you easy access to two USB pass-through ports and two audio ports located at the front of the base. The ports let you conveniently extend the ports on your PC or laptop, using the integrated cables. This lets you plug in your microphone, headset or USB devices, without having to reach around to access the ports on your computer. It also gives you a cleaner cable setup, which adds to a more productive, less cluttered work space. The desk-mount monitor arms offer a full range of motion on several axes, letting you tilt, pan and rotate your monitors to adjust your viewing angle any time to suit your changing needs. To view longer pages or blocks of code without scrolling, the arms also support landscape-to-portrait display rotation for each monitor. 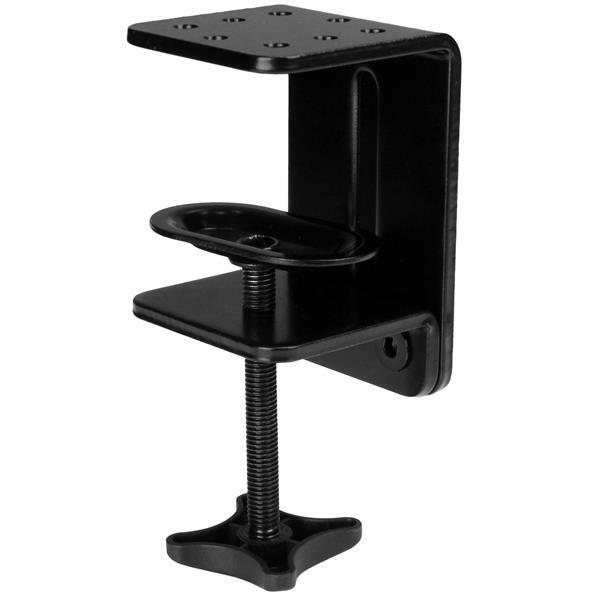 The spring-assisted height adjustment makes raising or lowering your monitors effortless. You can also adjust the tension to your own preference. 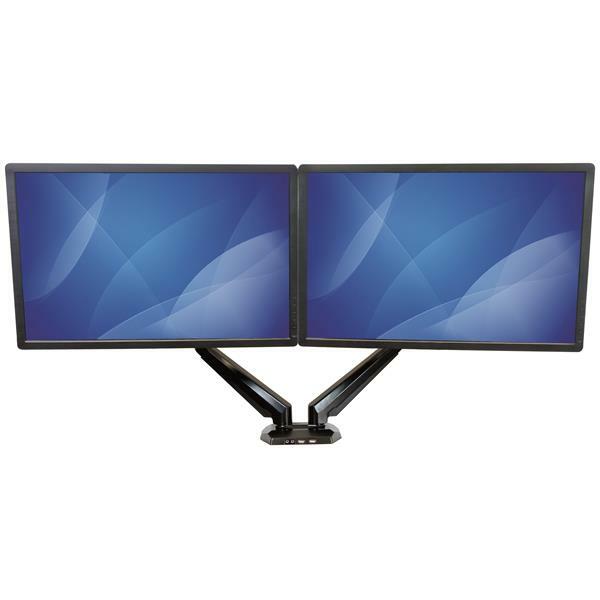 With its durable aluminum construction, the ARMSLIMDUO securely holds two monitors using a standard VESA mount. 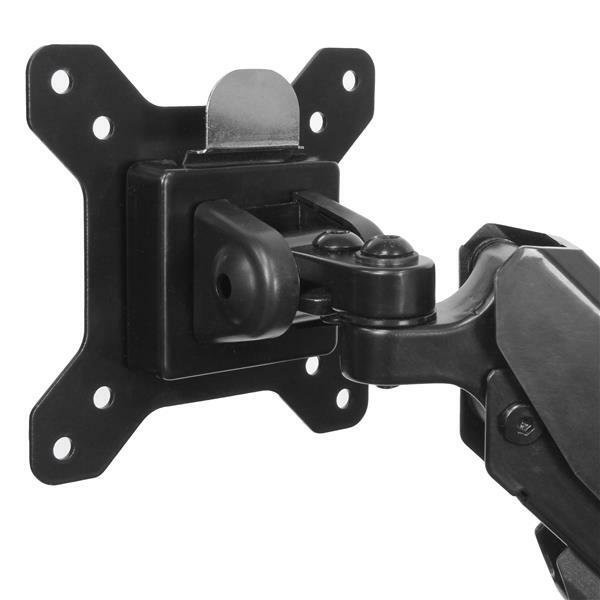 The C-clamp makes it easy to install the dual-monitor arm mount to your desk or table. 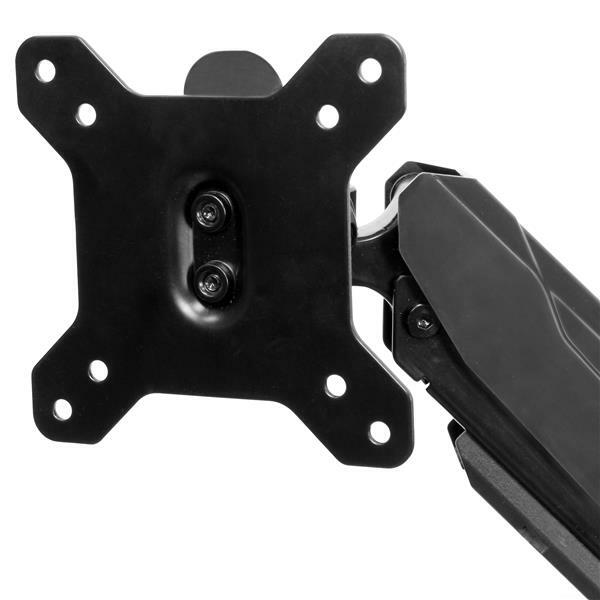 The fast insert function makes it easy to attach your monitor. 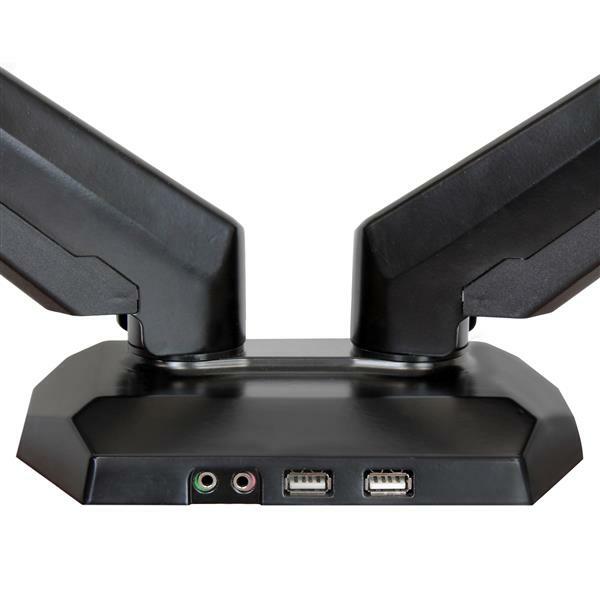 The ARMSLIMDUO is backed by a 2-year StarTech.com warranty and free lifetime technical support.